This two-day intensive workshop is designed for health professionals involved in the care of the pre-crawling infant. The course is designed to enhance the care provider’s understanding, assessment and management of oral function issues as they impact infant feeding and development. We will have case studies, hands-on learning opportunities, live dyads, discussion time, and more. 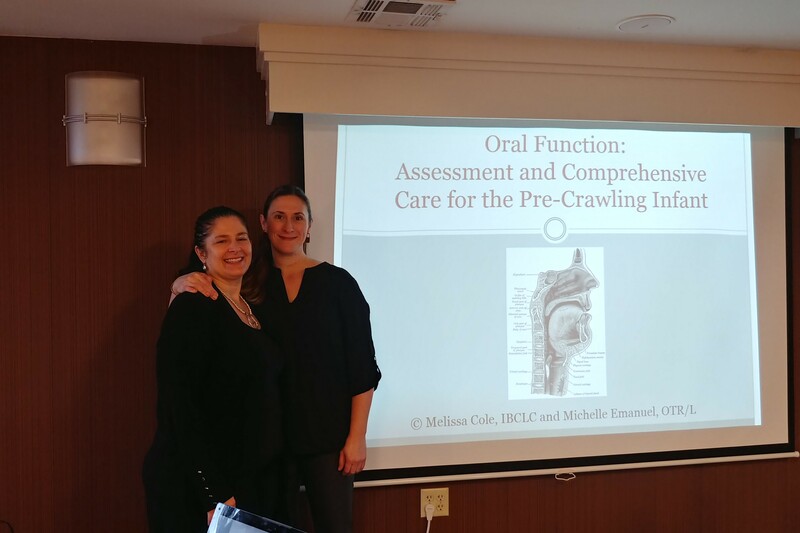 Melissa and Michelle will help you level-up your assessment and clinical care techniques when it comes to supporting babies coping with compromised oral function and complex feeding challenges. The April 2019 workshop is currently SOLD OUT. Please email us to be put on a wait list: oralfunctionworkshops@gmail.com.